Social network group admin pleads guilty to pushing teens to suicide | Russian Legal Information Agency (RAPSI). ST. PETERSBURG, May 11 (RAPSI, Mikhail Telekhov) - Philipp Budeykin, aka Philipp Fox, an administrator of a closed group on social network Vkontakte, has pleaded guilty to inciting teenagers to commit suicide, the Unified press-service of St. Petersburg courts told RAPSI on Thursday. On Thursday, the Oktyabrsky District Court of St. Petersburg extended Budeykin’s detention until August 28. 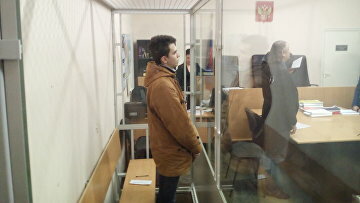 The defendant was not opposed to extension of his detention, according to the press-service. The hearing was held behind closed doors because materials of investigation include information about minor children. Earlier, a psychiatric examination has found Budeykin mentally fit. A criminal case was opened in May 2016 after several Russian media outlets reported about so-called Groups of Death, numerous groups where young people were encouraged to kill themselves. Investigators claim that from December 2013 to May 2016 eight Groups of Death were registered on Vkontakte network. Fifteen teenagers from various regions of Russia were members of these groups and committed suicide. Searches were conducted in ten regions of Russia. Budeykin was arrested on November 15, 2016. About ten people testified in the case against him. The investigation is currently ongoing in Russia’s Krasnodar Territory, Republics of Komi and Bashkortostan and Moscow, Volgograd, Voronezh, Tula, Kemerovo, Novosibirsk and Omsk regions. Investigators also claim that admins of Groups of Death have been found in Ukraine. 15:55 11/05/2017 Philipp Budeykin, aka Philipp Fox, an administrator of a closed group on social network Vkontakte, has pleaded guilty to inciting teenagers to commit suicide.